As deputy, James will be on hand if Aidan is away performing other important duties, or just another person to consult on ideas to make the Union even better. James also promotes and organises a myriad of campaigns around campus. James was extremely vocal as LGBT* Auditor last year during the Marriage Equality referendum and set up voter registration drives around UCC. We’re excited to see what he has in store for the coming year! Joe is your main man when it comes to academic issues. Having been re-elected after a successful campaign, Joe aims to continue on from his successes of last year to achieve optimum results for students. He represents students’ issues on university committees and is there to lend a helping hand if you have any questions; comments queries or theories regarding your course! With a Law degree under his belt there’s no stopping him from helping anyone with a question out there, so don’t hesitate to contact him! Katie is the new Welfare Officer and she is here to look after your welfare and wellbeing during this year. Katie deals with non-academic problems in college. “So pretty much everything from accommodation problems, sexual health, finance problems, grants & mental health issues.” Katie will be there to relieve your stress, or just have a chat if needs be. She will be pioneering welfare campaigns such as SHAG (Sexual health and Guidance week and mental health week. The Condom Shop in the Students’ Union will also be under her control, the first four are free so Fresher’s should get in there while you can! On a more serious note, confidential talks in her office are available if you need to talk about private matters or you just want a bit of privacy, she’s always around. 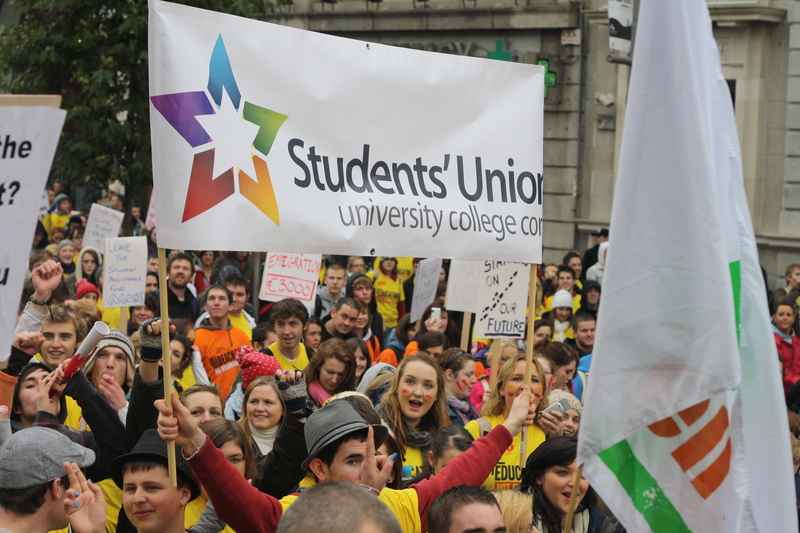 Barry ran a successful campaign to hold onto his position of Communications and Commercial officer, with a degree in Computer Science he is the best man for the job of managing the SU. As commercial manager he looks after the advertising and promoting of campaigns on campus. The website is run by Barry along with the SU Facebook and Twitter accounts. Barry sits on the Board of Directors and Board of Management, voicing your opinions and letting them be heard on a broader scale. After an exceptional job last year, we are eager to see what new changes he will bring about. Along with the other Sabbatical officers who take a year out for their role, Entertainments officer is part time and Adam Finn has his work cut out to top the events of last year! From freshers week, class parties, college balls to the infamous R&G week, Adam and the Ents crew will be on hand to provide you with one of the best college experiences around! Is é Seán Ó Ríabhaigh, bhur n-Oifigeach i mbliana. Is as Crois an Tornóra é i gCorcaigh. I mbliana beidh sé ag freastal ar a dara blain i UCC, ag déanamh staidéir ar an Ghaeilge agus Stair. Tá sé ar intinn aige an teanga a scaipeadh ar champas, in éineacht leis an Chualacht, agus cultúr na Gaeilge a chur chun cinn. Le déanaí, cuireadh cearta na nGael fá chois ag déine agus ag neamhaird rialtais. Deir sé go bhfuil orainn teacht le chéile agus troid ar son na Gaeilge, agus mar bhur n-Oifigeach, déanfaidh sé a dhícheall ár dteanga a bhrú chun tosaigh in OÉ Chorcaí.